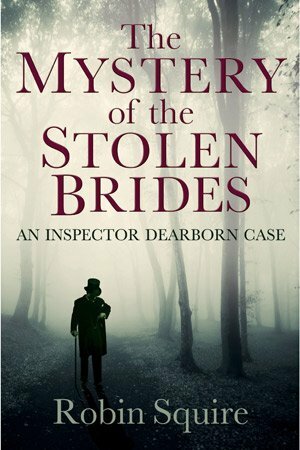 I had always seen the book as a tragic Victorian love story and crime thriller, involving the methodical police work of Detective Inspector Dearborn and his young assistant. My great-grandfather was a Thames river policeman in Victorian London (no motors then, they used oars), and my grandfather was a police sergeant in Edwardian London (in 1911 he was one of the coppers at the Siege of Sidney Street in East London, and once told me how he used his heavy police cape as a surprisingly effective weapon against thugs). As a youngster, and later as a published novelist, I was fascinated by his first-hand accounts, which provided authentic background material and atmosphere for the book. When I read the story again in preparation for re-publication I was surprised to find how ‘complete’ it was. I kept it much the same while honing the characters of Inspector Dearborn and his detective sergeant, the ambitious Lemuel Sparrowhawk, son of an assimilated East London Jewish family. In particular I clarified what ultimately happened to the pivotal characters from the perspective of the now retired Dearborn, hinting at just the possibility of a supernatural dimension. What a great book. And what interesting characters. I can’t wait for the follow up. Good luck, dear Rob, with this further venture. I don’t think I knew our great grandfather was a river policeman – how interesting. Anyway, here’s luck and all best wishes with it all. Copyright © 2012-2019 Robin Squire. All rights reserved.